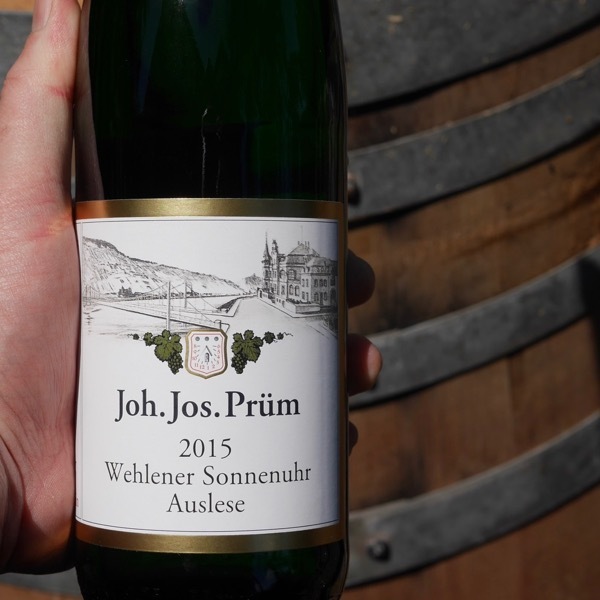 You’ll sometimes see the Riesling scale on the back label indicating the sweetness of the wine. 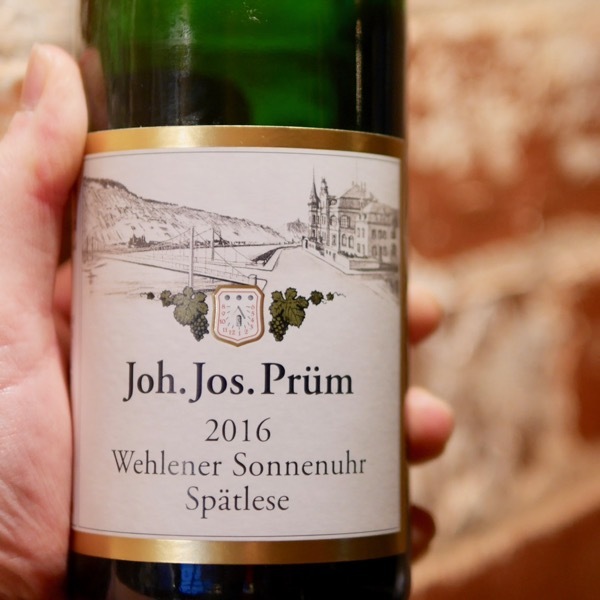 This intense sorting process at Dr Loosen’s Mosel Vineyards is beautifully articulated by Ernie Loosen from 2min 25sec in the vineyard below. Each site has subtle, yet important differences that result in quite distinctive styles of wine. 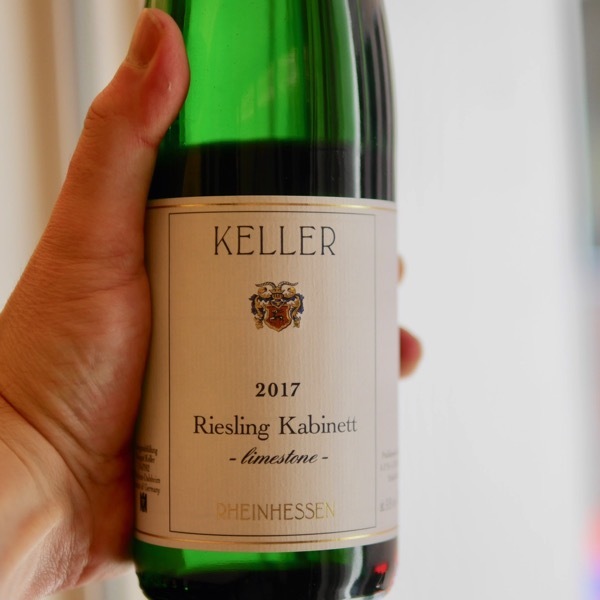 Whether your looking a the vineyards of Wehlener Sonnenuhr – The Sundial of Wehlen, Graacher Himmelreich – The Kingdom of Heaven, or, Bernkasteler Badstube, each has it’s own personality. Always a favourite! In England they offer tea in the afternoon in the Mosel they offer Kabinett! 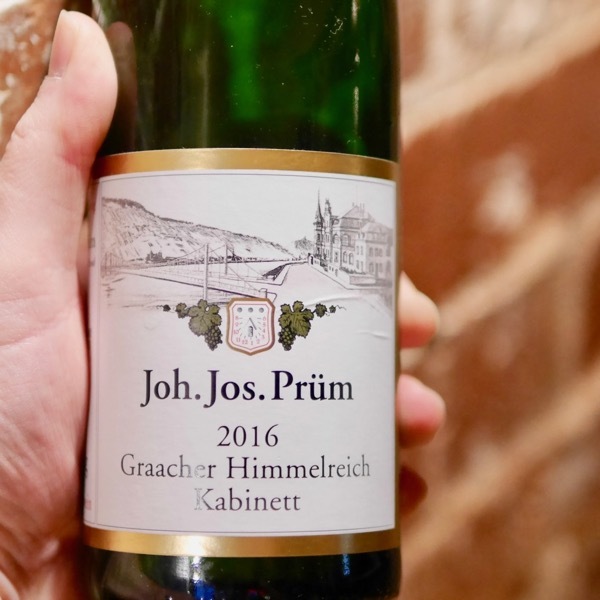 Prüm's wines are a masterclass in balance! 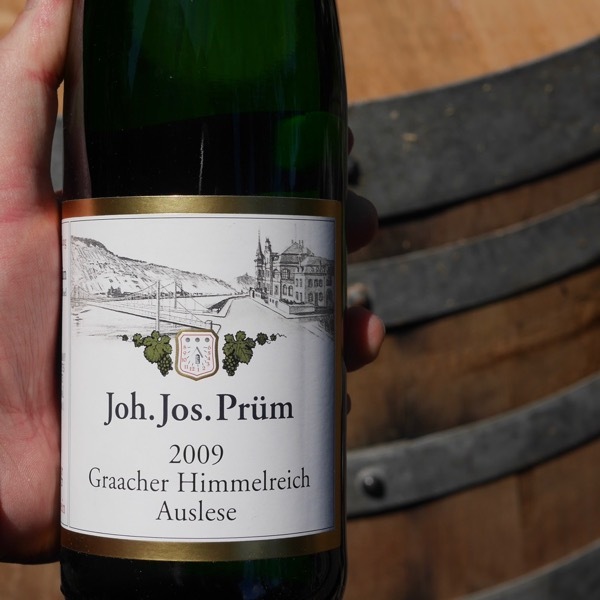 They demonstrate just how good sweet Rieslings of this calibre are. 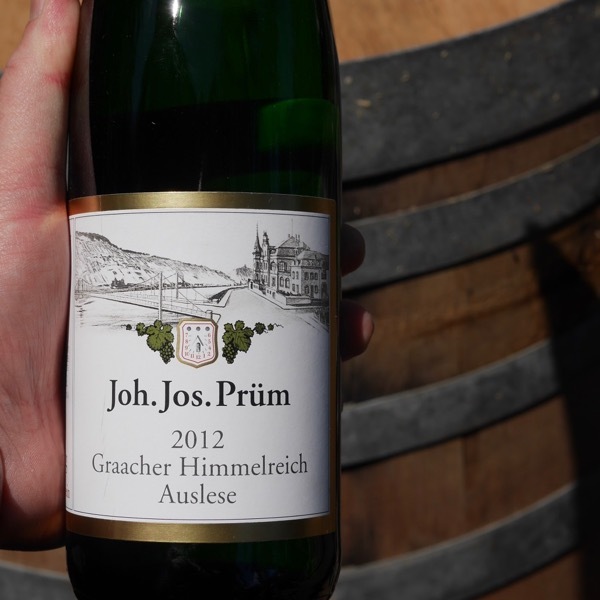 Everything we look for in a Prüm Auslese. Intensity, serious depth of fruit, yet somehow it remains feather-light, extremely bright & fresh! The Graacher’s origin is detectable through its smoky, citric, mineral essence, its elegance and latent horsepower. Pure class. 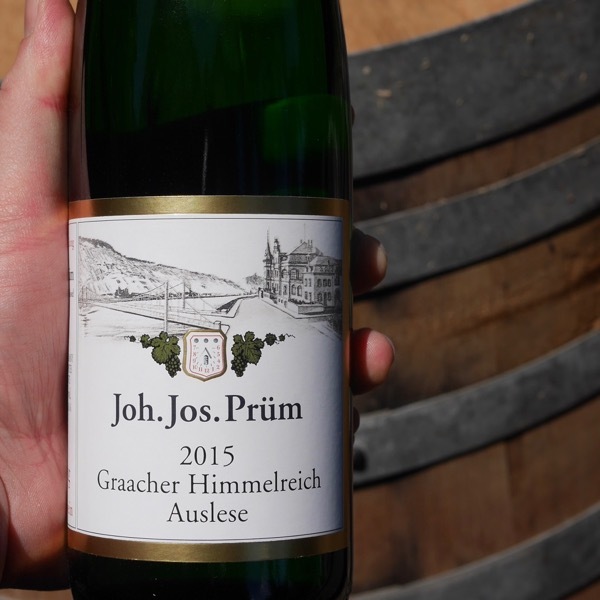 The 2015 Graacher Auslese takes the intensity up a notch. Riper & more concentrated, yet with stunning citrus creating purity & balance.